Are you overwhelmed with “stuff?” Bring out your inner organizer and pare down those piles. To keep your cat or dog calm and happy during a move, you need a little planning – and maybe an extra treat or two. 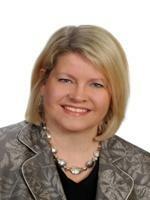 I would like to receive email updates from Dianne Hanbidge regarding Real Estate in my area(s) of interest.